Recently I’ve had the pleasure of interviewing Brendan Hill of Blues Traveler, as well as covering their show in Clemson, SC on October 20, 2009. 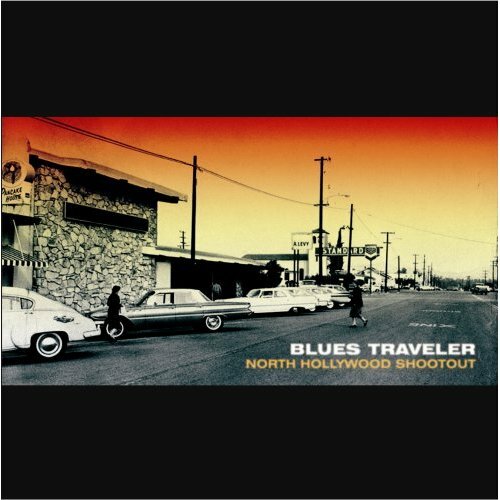 Though this album is over a year old (Released August 26, 2008), CWG felt it was a good idea to close up our “Blues Traveler Section” with this review. 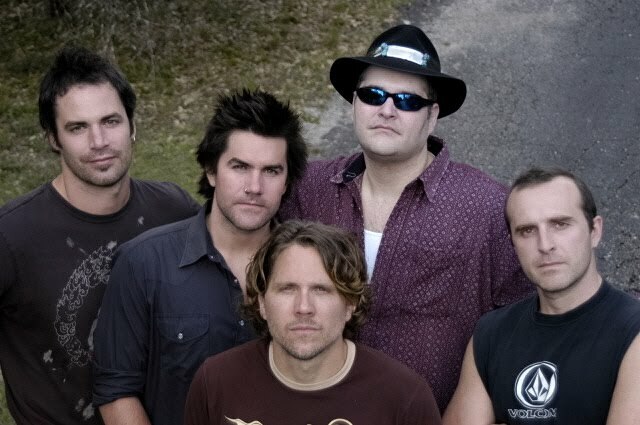 When a band finds extreme commercial success, as Blues Traveler did with their 1994 release Four, the backlash after the success can be vicious and very hard to overcome. That album had a single, “Run Around,” that smashed records for time on the charts. Think of musicians like Hootie and the Blowfish or Alanis Morrisette and their first albums. Just about every track on those two albums was a hit. The chance of any follow up living up to the potential of the first release was nearly impossible. The casual BT fan and the general media wrote this band off after that album and the tragic passing of original bassist Bobby Sheehan. While the line up of the band and the overall sound has changed, what hasn’t is the ability for this band to create good music. The addition of a keyboard player (Ben Wilson) and a bassist (Tad Kinchla) with a different style than Sheehan gave the band a new dynamic to play with. It isn’t like they never had a keyboard player on any of their albums. Musicians like Chuck Leavell and Gregg Allman have appeared on earlier albums. Wilson and Kinchla have given John Popper and guitarist freedom to explore musically. That being said, Blues Traveler does not take too many risks on North Hollywood Shootout. Other than the final track, “Free Willis” with Bruce Willis (yes, THAT Bruce Willis) free form ranting, there are few risks on this album. The harmonica playing is pulled back and subdued throughout, and with the exception of “The Beacons” and to some extent “How You Remember It,” the band really doesn’t let loose. It’s like owning a ’69 GTO and driving the speed limit. Anybody that has seen BT live knows what this band can do. They are built for the live show and have been for 20 years. This distinct attempt at power pop style ballads, while not completely out of character, is a bit surprising. In terms of song craft, there is a lot of strong work here. “Forever Owed” & “Orange in the Sun” are both very good songs. “What Remains” has the added texture of a horn section, but rather than using the horns to funk it up, the song is a ballad. This is still a strong album and long time BT fans will enjoy it. Popper, the Kinchla brothers, Ben Wilson & Brendan Hill are a strong and cohesive group that are still very good at what they do. See Victor’s interview with Brendan Hill. 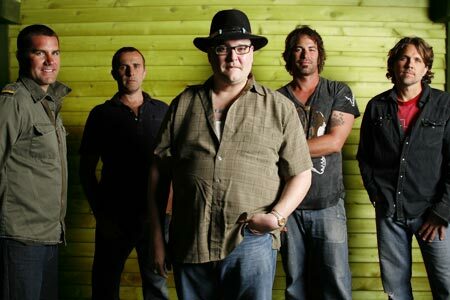 See Victor’s review of Blues Traveler’s live show in South Carolina. View oll of Victor’s Blues Traveler photos here. Each year, the Sigma Chi fraternity of Clemson University has their “Derby Days” where they raise money for a local charity. This year, to cap of their work for a local children’s charity, they hosted a concert with Blues Traveler as the headline act. And while I was there to cover this historic band, the opening act, a local band called PictureMeFree, blew me away. With reggae, rock, jam band and even urban influences, PMF brought together a mixture of music that could not possibly let the crowd sit still. It does not take much to see the connection the musicians have with each other and how they fit together. It’s hard to say if they will ever become anything more than a local band. They certainly have the talent and ability to become a major force, but it takes just as much luck as it does talent and hard work to take things to the next level. Hopefully we will be hearing more from them in the future. Over the course of two plus hours, BT reached through the length of their songbook. Going back to “Slow Change” & “But Anyway” from the self-titled first release to “Forever Owed” & “You, Me & Everything” from the recent North Hollywood Shootout, they covered everything in between. Each member of the band had an opportunity to showcase their talents, and they never let the crowd relax. Crowd favorites like “Run-Around” and an amazing cover of Bob Marley’s “No Woman, No Cry” kept everybody up, dancing and singing. The encore of “Hook” sealed the deal for many in attendance. Blues Traveler has been making music for over twenty years. There is no doubt that, while many enjoy their studio work, this band is truly at it’s finest on stage. With the exception of a few vocal hiccups from Popper, the set was strong and tight. As they continue to tour over the next month, I highly suggest going out to see these guys if they come to a venue near you. When most people think of the band Blues Traveler, the songs “Run-Around” & “Hook” are probably what come to mind. The band, John Popper (vocals, harmonica), Chan Kinchla (guitar), Tad Kinchla (bass), Ben Wilson (keyboard) & Brendan Hill (drums, percussion), has been making music for 20 years, and the album Four was their biggest commercial accomplishment. For many, that is where the story ends. One album later, the band had to deal with the tragic death of their close friend and band mate, Bobby Sheehan. For the remaining members of the band (Popper, Chan Kinchla & Hill), this was more than just losing a bass player. These four grew up together, went to school together and started what would become Blues Traveler in high school long before any of us had a clue of what they would become. They didn’t just lose a friend, they all lost a brother. This past August marked the 10-year anniversary of Sheehan’s passing. You will see in the interview that follows, this isn’t a story of one band, but two: the band that Bobby Sheehan helped create, and the band that was created after he passed away. VA: This band has been around for a long time, but it went through some pretty tough times. This past August marked the 10-year anniversary of Bobby’s death. Was there a point back then where you weren’t sure that Blues Traveler would continue? Hill: I’m sure when it first happened, we all felt that way to some degree. Bobby died on August 20, 1999, and it took us all some time. We all had to see if it was possible to keep this thing going. We all had to do some soul-searching. It would have been OK for us to stop then, because I think we accomplished everything we needed to accomplish. But we still loved playing music together and we still had this bond, so we thought about it and decided to hold some auditions. Then when Tad joined the band, it was kind of like having a similar feel to a high school friend because he was Chan’s brother. We decided to add Ben as a keyboard player because we didn’t want to re-create what the old Blues Traveler was. We wanted to start off with a new element. I think it really gave us a lift because it made us different enough so that we could write new music and it gave us a kind of second awakening. VA: Did the fact that you all knew Tad make his joining the band easier or were there any problems with the transition? There were some growing pains. We had to re-learn a bunch of songs and we made a coupe of arrangement changes. Having the keyboards come in was actually freeing to Chan & John because they are now able to play rhythms and cords behind. Usually, back in the day, when John was soloing, Chan would have to pull it down and vice versa. So when Ben came into the group, it gave them both some freedom to develop a different path. I think it was liberating. It gave us a different approach to writing music because we now had the keyboards to create melodies. I think as a band, we grew a lot in those first four months when we first came together in 2000. Our writing approach was similar to the old Blues Traveler, but it foreshadowed things to come. Hill: Yeah, we always talked about adding a keyboard player, especially with a lot of songs on the albums where we brought in Chuck Leavell, and all kinds of great keyboard players to guest on records. Now we have a keyboard player in the band so he can re-create all of those moments. It was great. We were like, “We should have done this 10 years ago.” But I think making the band sound different from the original band also gave us an opportunity to start up fresh and made touring and everything new and exciting. The new guys had a lot of energy and brought a new dynamic. We had to go back and learn a lot of songs over again, and after 10-15 years of doing the same thing, you get a little jaded. Having this kind of re-birth mid-career was exciting for us. VA: Absolutely, you guys truly sound like two different bands. If you pulled out Travelers & Thieves and compared it to the more recent stuff, it is so different. Hill: Yeah, I know. Even between our first record and our fourth record as a group, you can see the evolution of the group. I think we just kept pushing ourselves to get better and keep growing. We want to take on any challenge that people give us. On compilation records we’ve worked on, we were always, “Give us the hardest song you’ve got and let us try and work it.” That’s our motto, let’s work on stuff and just go through the paces. VA: There was a lot of talk with the most recent album, North Hollywood Shootout, about how you wanted to “catch lightning in a bottle” with the writing process and put it all together in the studio instead of coming in with some pre-conceived ideas. How do you feel about that now and do you think you will use this style again in the future? Hill: I think as a band, going into the studio is a real thrill for us. It’s where you get to really work on your playing and you bring in a producer as another member of the band to bounce ideas off of. We’ve done a lot of studio albums where you do a month of writing and then two weeks of pre-production, and when you get to the studio, you pretty much know exactly what you’re going to do. We had done that over the last eight or nine records. I think the objective of this record was to see if we can go in there with a fresh approach and utilize the producer as we go. As far as whether it was the best process ever, I think it’s hard to say. Sometimes you come up with a song idea and you really want to bring it to the band. VA: You guys have been road warriors for close to 20 years now. You must do 100 shows a year. What are the plans now? Are you going to take a break? Any plans to go into the studio? Hill: We started this tour in May and will go through November 20th. Between that and a few dates in Australia earlier this year, it will be right around 100. We’ll take the holidays off and probably get back together in late February or March and see what we come up with. Whenever we are apart for more than a couple of months, everybody comes back with a bunch of ideas. That’s another exciting part of this. When you tour for six months and then take a break, it’s like having separate lives. So when you can bring a couple ideas after a break, those are usually the strong ones, the most developed ones. We haven’t talked about recording, but we’ll probably get together in March and talk about writing and then get into the studio. We’ve had the new album out for a year, and it’s fun to play new songs. I think we all love that feeling of having new material and being able to try it out in front of crowds. Blues Traveler is currently touring with dates going through November. For more information, go to www.bluestraveler.com. This band has always put on an amazing live show with great energy. They have made a specific point to keep ticket prices low. If you have a chance, definitely go out and see them.